This week is SKINCARE WEEK on AVSB! I started testing these brands the beginning of 2015. 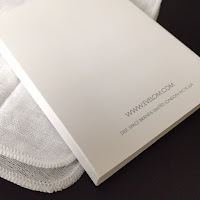 I tested each for a month (except Eve Lom). Below are my thoughts. Let me know yours! Vogue touts Eve Lom cleanser as "probably the best cleanser in the world". I beg to differ (at least for anyone with sensitive or dry skin like mine). Eve Lom is a luxury skincare company out of London, that claims its cleanser is good for ALL SKIN TYPES. That baffles me, because I don't believe in "one size fits or suits all". At least in my experience! The cost of this cleanser is anywhere from $50 - $135 USD depending on the size jar you purchase. Sephora offered deluxe samples of this cleanser (It was February when I tried this) and I was lucky to get several samples. Each sample came with a packet of cleanser and a muslin cloth. 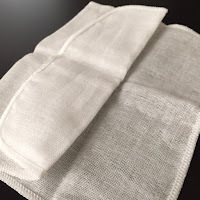 You're suppose to apply the cleanser to a dry face, immerse the muslin cloth in hot water, squeeze off the excess water and apply the muslin cloth to your face. Once the cleanser is removed, you then use cool water and apply the muslin cloth to your face. The entire process is very ritualistic. After doing all of this, my skin felt dry and sensitive afterwards. I also experienced some redness (on the cheeks and in between my eyebrows). After trying it twice, I stopped! I didn't like how my skin was reacting. I didn't like the smell of this cleanser (i can't even describe, but it's like a sick scent). It's not very pretty to look at (doesn't it look like puke?). It has granules in it and it feels oily (heavy & sticky; it has Mineral Oil in it). After trying this out, I read some reviews on Makeup Alley. Many complained about the scent. Overall it only had a 3.5/5 rating, but 58% said they would buy it again. I wouldn't suggest using this cleanser, if you have dry or sensitive skin. 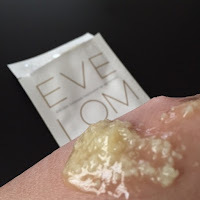 I have NO INTEREST in trying anymore Eve Lom products! If the cleanser doesn't work for me, why would I try anything else? 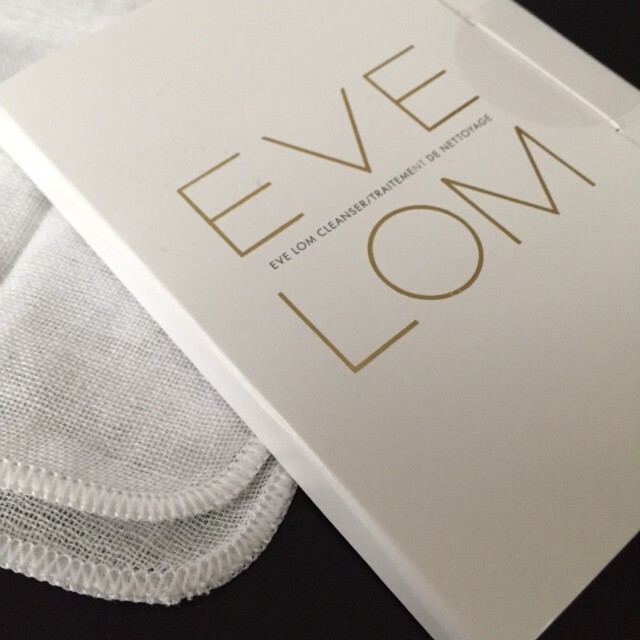 Have you tried Eve Lom? Tomorrow I'll have one more bad so-so review, but stick with me and I'll tell you what worked for my dry/sensitive skin Tuesday. I haven't heard of this brand!! It to dry skin instead of damp! I thought the smell must sound really bad, and combined with it looking a little like puke I'd imagine why you wouldn't want to try more of it! Then I scrolled and saw the photo - yep you are brave for putting that on your face, haha! Glad it works for some skin types, but I agree I'm much better with products specifically for my skin rather than one-size fits all type products. Haven't heard of this brand, but a sick smell + vomit consistency does not sound like a good time! This is the first time I heard of this brand I had not try. 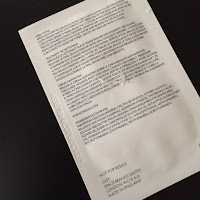 This is an outstanding honest review and the price of the product for a cleanser ridiculous when so many brand out there work better and do not break your bank. I have never heard of this brand before but that's probably good seeing this review! Yikes! For that price too, you would think it would be good....sigh....I was curious about this line, but I think I'll skip for now. the product looks really strange, not sure I'd want to put that on my face haha! Kim this is why I love your posts and your reviews because you are so honest! I'm like that too. For the products I write bad reviews on, I rather be brutally honest rather than lie to my readers so they don't waste their time or money on products that aren't good quality etc. That's too bad brand didn't work out for you. Thanks for sharing your thoughts! One size does not fit all especially when it comes to skin care. That is strange advertising. It looks yucky on the skin too. I have seen this on counter in England but never tried anything from them and yes it looks like puke. Never believe in the one size fits all philosophy either. 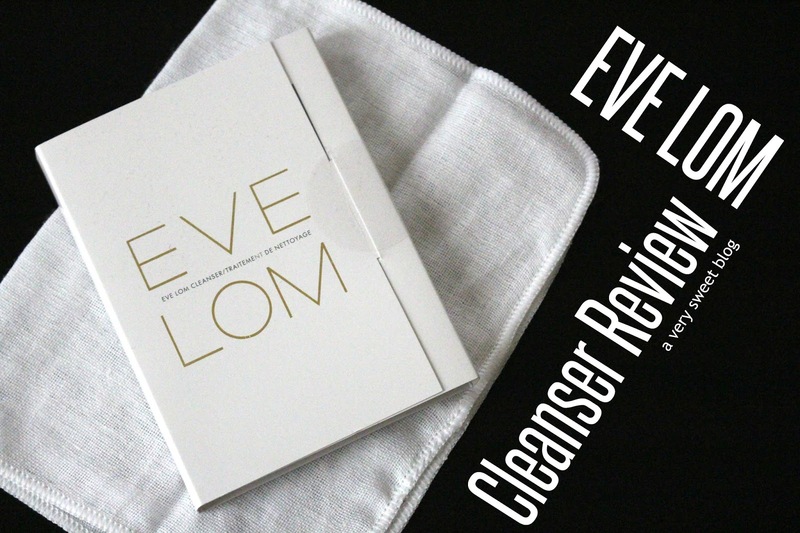 I've been wanting to try this cleanser since I'm a big fan of Eve Lom's Rescue Face Mask but given your experience with it, I think I will be staying far away from it since my skin is also sensitive and on the dry side. Sorry to hear it was so awful for you Kim and it really does look nasty as well. The process sounds very similar to using the Liz Earle Cleanse and Polish Hot Cloth Cleanser which is super gentle and smells like eucalyptus. I got a few samples of this and hated it so I think you are spot on. It smelled so gross and it did nothing for my skin except cause a mess! Hi Kim, sorry to hear about this product not being so good. Thanks for the review on it. I hope you have a nice start to the new week. I agree. Trust your gut, if it doesn't work out, stop. I'd have done the same thing, Kim! I've never heard of this product but thanks for the tip as I have sensitive skin as well. I've never heard of this brand but for such a hefty price, I'm definitely not trying this out. I have dry skin & I could see this reacting very badly for me. Also, how gross does it look!!! It really does sound very ritualistic. I haven't heard of this cleanser but the process does sound soothing. Shucks it doesn't work out for people with dry sensitive skin! It's a bummer this didn't work out for you. Besides the smell, it sounds like it was kinda relaxing to use. Oh yuck - the formula really doesn't look appealing at all! When it comes to cleansers, I always stick with what I know and like. I'll be staying far away from this one. Shame on you Kim, I had never heard of this brand. This one is pricey...and I'm sorry to hear it irritated your skin. I guess one size fits them all isn't true after all...which makes perfect sense as you said. We all different skin and it reacts to products differently. All this while I've read only glowing reviews on this brand and this particular cleanser so it's absolutely refreshing to read your experience, Kim! I have dry skin so this would be a no go for me. And I can't bring myself to spend this much money on a cleanser anyway, I have a rule that if the product last less than a minute or two on my face then it's not worth the splurge. What can I say, I'm cheap. LOL! Its an expensive little one not do do the job it claims it does.. plus adding the ritual musseline to the entire thing is not good - like we have time to do more ! I swear by Bioderma, although I have been trying a organic line from Costa Rica which has worked well. I didn't know this has mineral oil in it. I've always heard how great this is, but it's so nice to read an honest review. Definitely not a fan of mineral oil in my skincare. It looks so fancy, Kim! OMG, it does look like puke! Glad you've mentioned the right word for it, Kim! Baaahhh!! yikes...i have dry and sensitive skin, so i probably wouldn't take a chance. love the name, tho!! I have tried one of these samples and I thought the cloths was a cool concept, but didn't feel like it did anything to my skin. I suppose one sample can't change my life hahah. Oh yes Kim I use this cleanser and I do like it. It took me a bit to get used to, but I do find it really cleans my skin well. Everyone is different and I think it's best to try a sample before purchasing the regular size to see if it works for you. I also use their powder foundation which I like when I need something quick or for travel.